When Amoeba Music opened in Hollywood nearly 15 years ago, the independent chain (which has two locations in the Bay Area) offered something we didn’t quite have before: a music emporium with a massive inventory and a corner record store vibe. With its nerdy clerks, labyrinthine aisles, and live shows, Amoeba quickly became an unofficial cultural landmark, drawing tourists and locals alike to rummage through its infinite options. 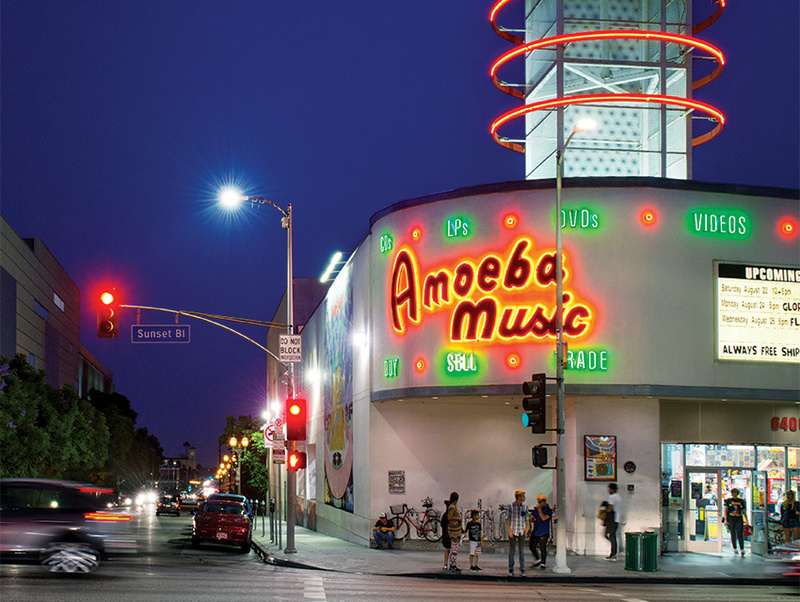 Now Amoeba is an endangered species, one of the last of the large-scale music meccas. Tower Records reigned for 46 years until the retailer closed its U.S. stores in 2006 after filing for bankruptcy; neighborhood favorite Aron’s closed that same year. The Tower legacy is the subject of a new film, so it seemed like a good opportunity to check in with Amoeba co-owner Marc Weinstein on the well-being of his renowned business. In 2001, it was the dawn of the digital music revolution and the twilight of Tower Records—an odd time to open a record store. Thanks to an enthusiastic L.A. clientele, Amoeba’s Hollywood location is financially supporting the two Northern California operations. Just don’t expect a Tower-like documentary about Amoeba.